Sony has announced its full slate for the upcoming PlayStation Experience 2017, due to kick off a week Saturday. The console maker confirmed that it will host a number of panels for upcoming titles, including PS4-exclusives The Last of Us Part 2 and Dreams. PSX 2017 is one of the last major gaming events of the year, joined by The Game Awards taking place in the same week. However, Sony has noted during its PlayStation Blog post that it's already announced a number of key titles at Gamescom and Paris Games Week. As such, it's probably wise not to expect too many bombshells at PSX, though we're still promised a few surprises. One of the games that is heavily rumored to appear is Devil May Cry 5 from Capcom. In addition, there’s also murmurs of a possible teaser for the highly anticipated Resident Evil 2 Remake. The panels will be streamed online via playstation.com, Twitch, YouTube, and Facebook, so you'll still be able to get stuck in on the action if you aren't attending. We can't wait to tell you more about this one! Experience a candid conversation between two legends as they discuss developing their new PS VR title and lessons from VR development. IGN's Podcast Beyond crew is here to figure out the 10 best PlayStation games ever, and they need your help! Uncharted 2 or The Last of Us? Metal Gear Solid, Final Fantasy VII, or Castlevania: Symphony of the Night? Journey or Shadow of the Colossus? Is it too soon for Horizon Zero Dawn to make the list? Help us build the best of the best that PlayStation has to offer. Help us celebrate 20+ years of PlayStation at PSX! It's been a month since we announced our newest title, Ghost of Tsushima. Here at Sucker Punch, we've watched so many reaction videos and read many of your comments with smiles on our faces. We thought PSX was a great opportunity to share a little more with you all. Join us on Saturday at 3:30pm as Nate Fox (Creative Director), Jason Connell (Creative/Art Director), Billy Harper (Animation Director), Ryuhei Katami (Associate Producer, Sony Interactive Entertainment) and moderator Brian Altano (IGN) discuss how we approached making the debut trailer and what inspired us to make this game. We'll share epic concept art that's driving the tone and visuals for the game, and share a little about our reference trips to Japan. Also be sure to stop by our signing session after the panel and come say hi. Stay tuned for more info on time and location. Join us as we celebrate the Uncharted 10th Anniversary at PSX 2017 with an unprecedented gathering of the cast from throughout the series! Nolan North, Emily Rose, Richard McGonagle, Claudia Black, Laura Bailey, Troy Baker, Graham McTavish, and Robin-Atkin Downes reflect on the series and share their memories with guest moderator Greg Miller (Kinda Funny). We'll also be hosting a special signing session with the cast prior to the panel. 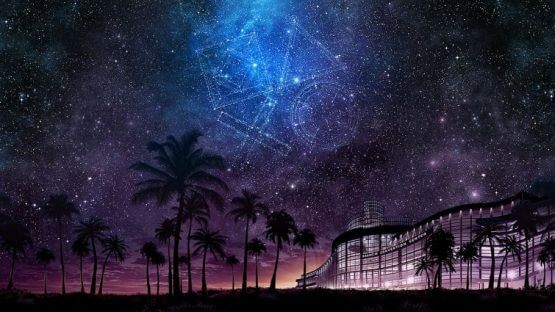 Keep an eye on the PlayStation Experience app for time and location! Join Naughty Dog and the cast of The Last of Us Part II as they discuss the making of the cutscene teaser trailer that was revealed just a few short weeks ago at Paris Games Week. Director and writer, Neil Druckmann, co-writer Halley Gross, and key members of the game's cast discuss the writing process, casting, performance capture, and more. For those attending the event, there will also be a signing session following the panel.